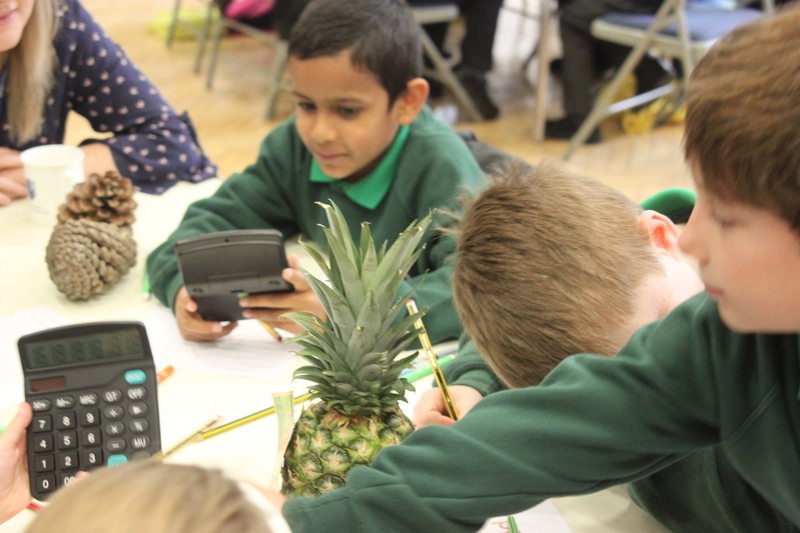 What a fantastic day we had on Thursday 2 November with our visiting schools learning lots about Fibonacci and The Golden Ratio. We started off the day looking at how number patterns appear in nature, paying particular attention to petals on flowers and spirals in pine cones and pineapples. Miss Taylor explained that number patterns in nature were not random. In fact, these numbers were part of the Fibonacci sequence. Our bright visitors worked together to complete the sequences starting from 1, 2, 3, 5, 8, 13, 21 and working into the thousands! Children discovered that The Golden Ratio helped calculate other numbers in the Fibonacci sequence and thus, was key to forming the Fibonacci spiral that was demonstrated in nature. Working on squared paper, children practiced drawing small and large Fibonacci spirals, before comparing The Golden Ratio to the ratio of their team members’ faces. 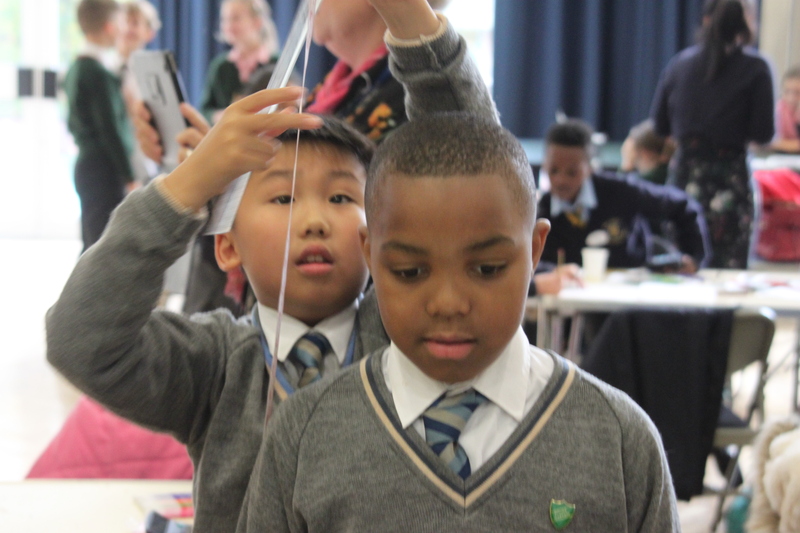 From Fibonacci in Biology to Fibonacci in Engineering, children looked at some world famous buildings and structures that followed the mathematical laws of The Golden Ratio. In a design challenge, children had to come up with their own Fibonacci inspired building, working with the same numbers and demonstrating Fibonacci spirals. We were thoroughly impressed with the great range of designs, including a leisure center with water slide, skyscrapers and Batman inspired mansions. After a day dedicated to Fibonacci and The Golden Ratio, we returned to an eclectic mix of Maths for our final round: the Big Quiz. After scoring all teams on the various Fibonacci rounds, we awarded St Josephs with Bronze, Hucknall National CofE with Silver, and finally, Gunthorpe CofE with Gold. Congratulations to all schools for a challenging day of STEM with extra Maths. To view our STEM with Maths album, please click here.